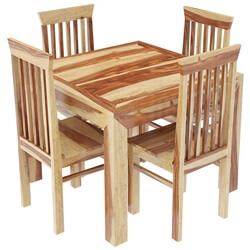 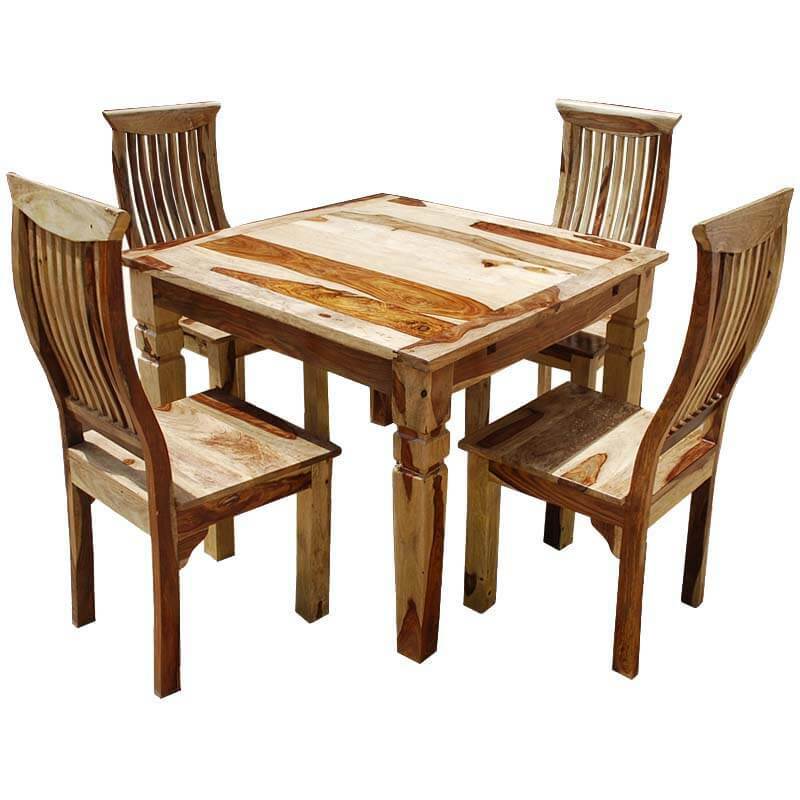 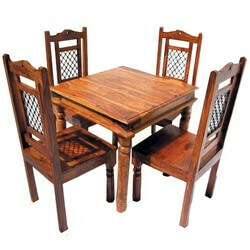 The kitchen table and chair set is often the most popular place in most homes. 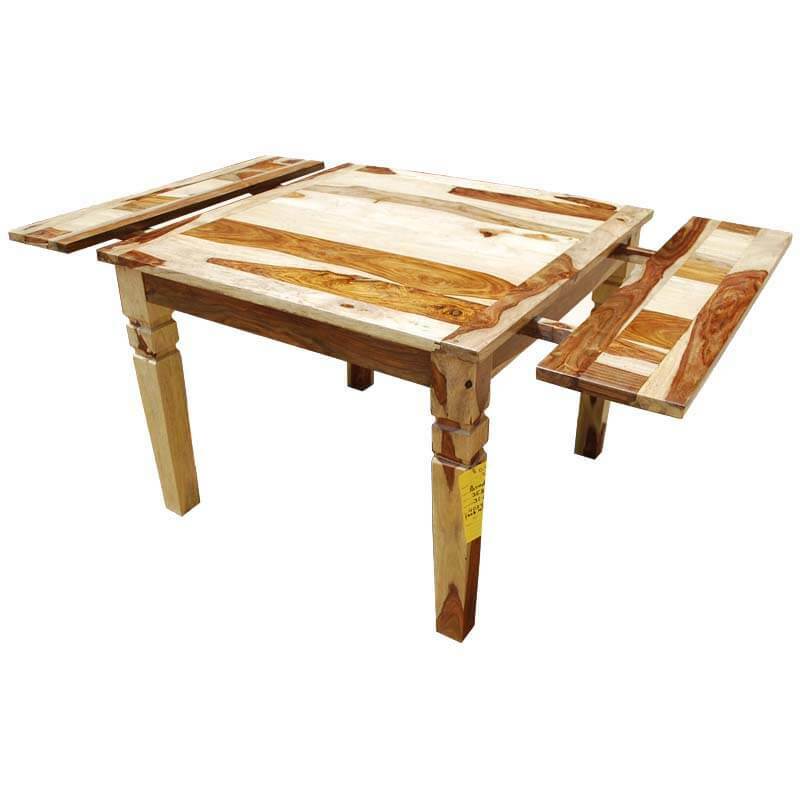 The table is built with two extensions so you'll have the room you need when you need it. 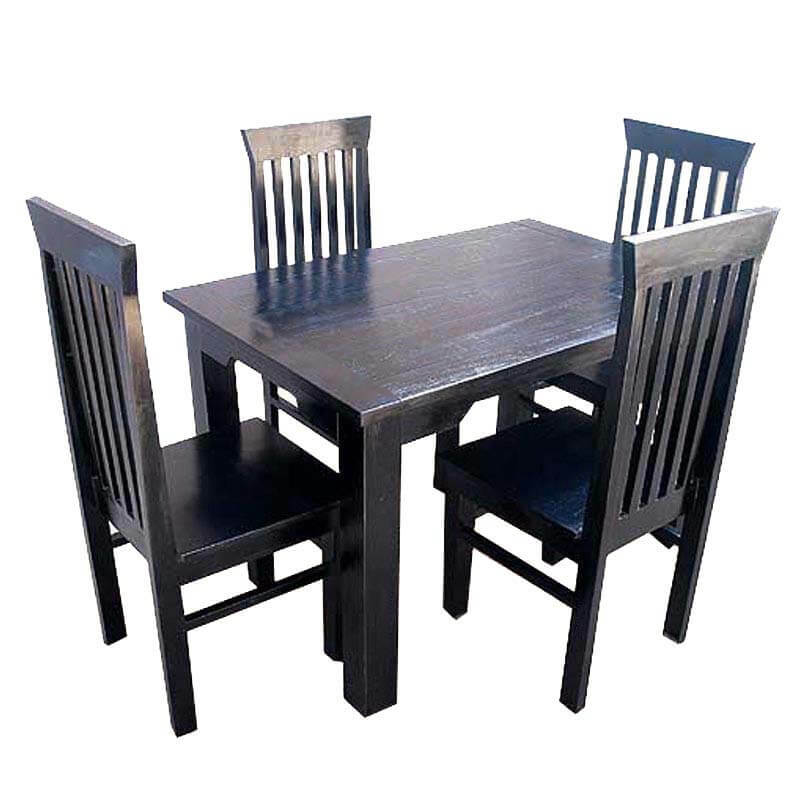 The chairs feature ergonomic backs and wide seats. 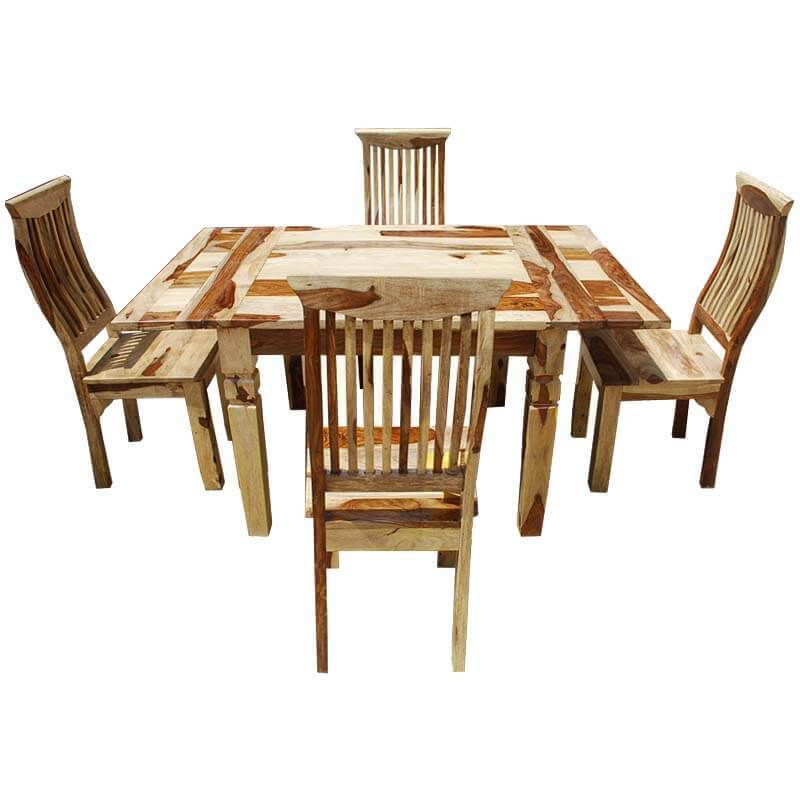 This contemporary set is built with Solid Wood, a premium hardwood ideal for high traffic furniture because it is both strong and durable. 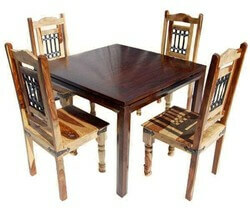 Solid Wood is famous for its dynamic dark and light wood grain patterns. 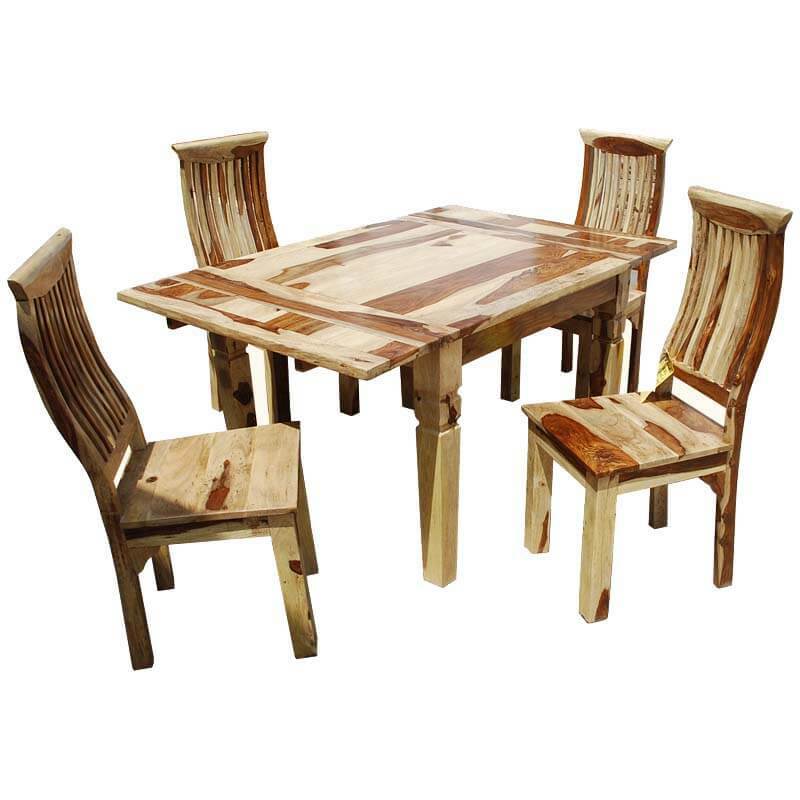 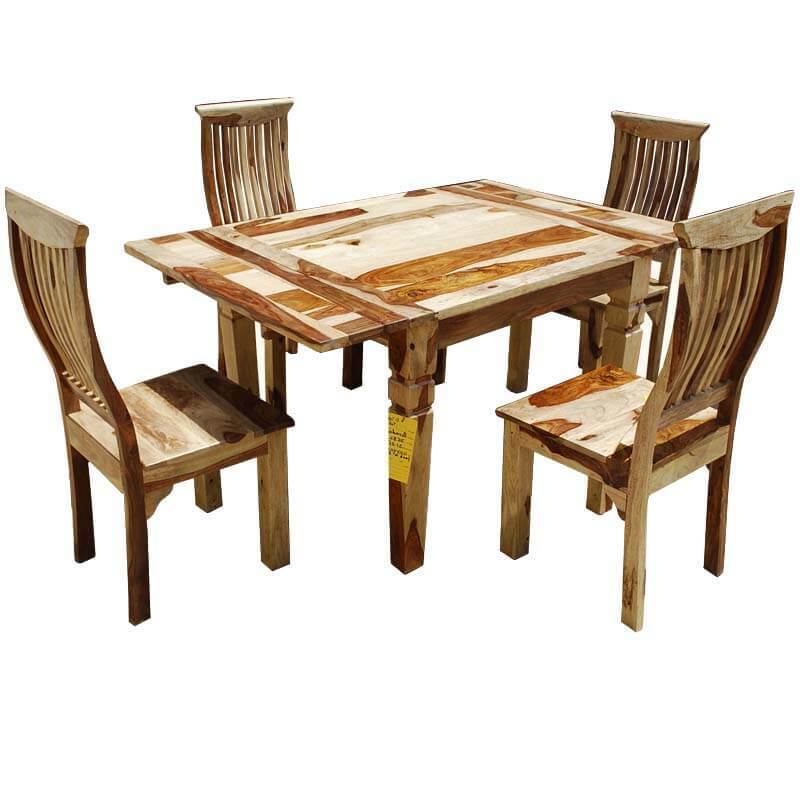 The table is pictured with its natural 'vandana' design.